Heat the clarified butter in a non-stick frying pan. Fry the fish fillets in batches over a medium heat for about 2 mins. on each side, season with salt. 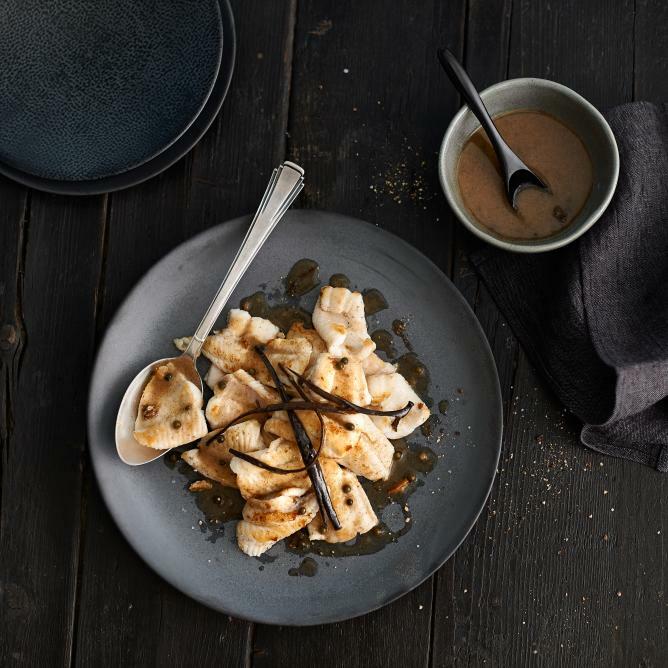 Serve the fish fillets on warmed plates, drizzled with the vanilla and pepper sauce and garnished with the reserved vanilla pods.